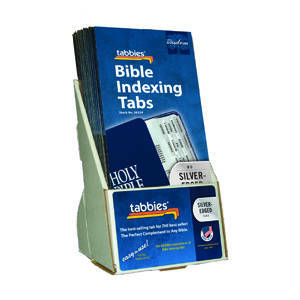 Bible Indexing Tabs Displays can be easily placed anywhere in the store. Great for a counter, a shelf display next to corresponding Bibles, or on a Bible table. 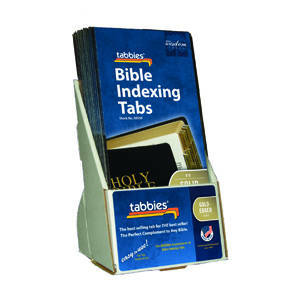 Sturdy corrugated cardboard construction makes them convenient and moveable. Compact size takes up less space. Can be thrown away or refilled. Displays are shipped fully assembled and filled with 20 packages. Available for all Bible Indexing Tabs versions.